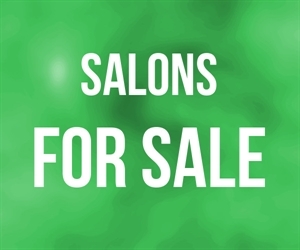 This Costa Mesa Area tanning salon is being offered at a blowout price, with $10,000 in seller financing being offered to facilitate a timely sale to a fortunate buyer! Two of this well established salon s high pressure tanning units are worth nearly $15,000 alone, while the other 5 low pressure tanning units and spray tan booth likely place the total indoor tanning equipment value, as well as the furniture, fixtures and equipment, at more than the total asking price. In fact, it could cost more than the asking price just to replicate the salon s electrical panel and build-out with no equipment. This opportunity has been priced to sell, and all reasonable offers will be considered. Location and Facilities: This 1,000 square foot facility leases just under $5,000 per month including common area maintenance expense (CAM) on a secure lease valid until March 2015. Market Information and Position: The salon has been very passively absentee owned and operated, leaving tremendous potential for an aggressive full-time working owner to potentially immediately boost sales and profits. In additional to increasing marketing via the traditional means, this salon could benefit from a social media approach to marketing, as well as the additional of complementary services and retail offerings! Competition: The salon is located in a busy high traffic shopping center with complementary neighbors and street great access.